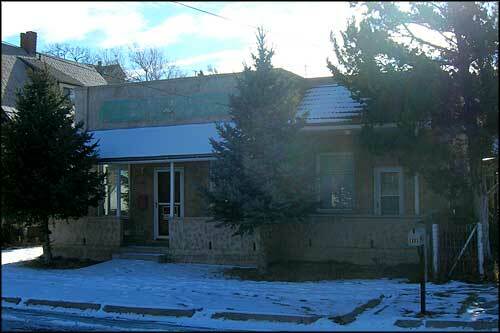 Century Savings and Loan Association has served the Las Animas and Huerfano County areas since 1903. We are the second largest holder of deposits in this two county area and the largest holder of real estate loans. From generation to generation throughout the years, we have served the financial needs of this community. We've stood the test of time. We owe our longevity to the loyalty of our customers. Individuals, families, and businesses have banked with us for generations. Many of our customers today are the great grandchildren of customers from earlier years. We believe in loyalty. It's a trust that's earned. When we say we've stood the test of time the "we" includes our customers who have banked with us for generations. Listed below are some of the "real estate owned" properties in Las Animas and Huerfano Counties offered for sale by Century Savings and Loan Association. Clicking on any of the photos or titles will take you to pages with more details. If you see something that interests you, you can either call us at 719-846-2257 or email us. There are no properties for sale at this time. This home was built in 1912 and has been remodeled since with hardwood floors, six-panel solid-core wood doors and the original stamped-tin ceilings. The property also has a two-car garage connected to the rear of the house by a breezeway/covered patio. The home at 108 West Third Street was first built in 1912 and has been extensively remodeled since with hardwood floors and new six-panel, solid-core wood doors installed, but the original stamped-tin ceilings are still in place. The heating system is also a newer, high-efficiency system. The two-car garage is connected to the rear of the home by a large, covered patio/breezeway. The ~1,710 square foot home has a kitchen/dining area, living room, three bedrooms and two bathrooms. 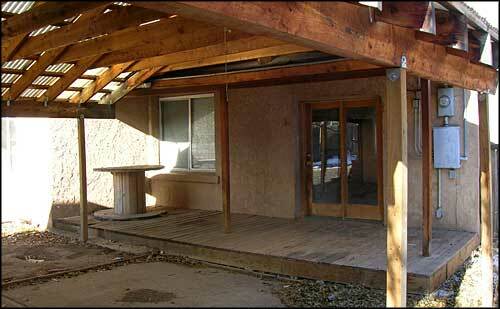 The home also offers a fully finished basement.